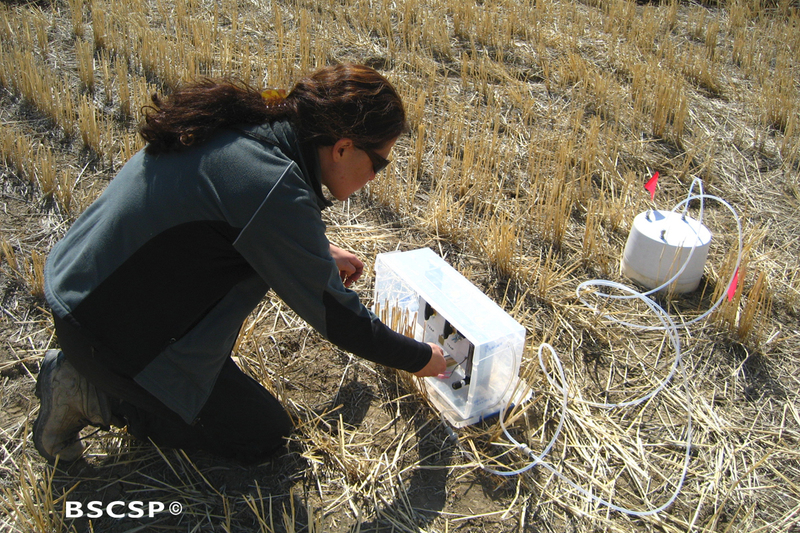 In order to assess the capacity for soils to store atmospheric CO2, researchers with the BSCSP terrestrial team conducted a series of field validation tests in cropland environments. 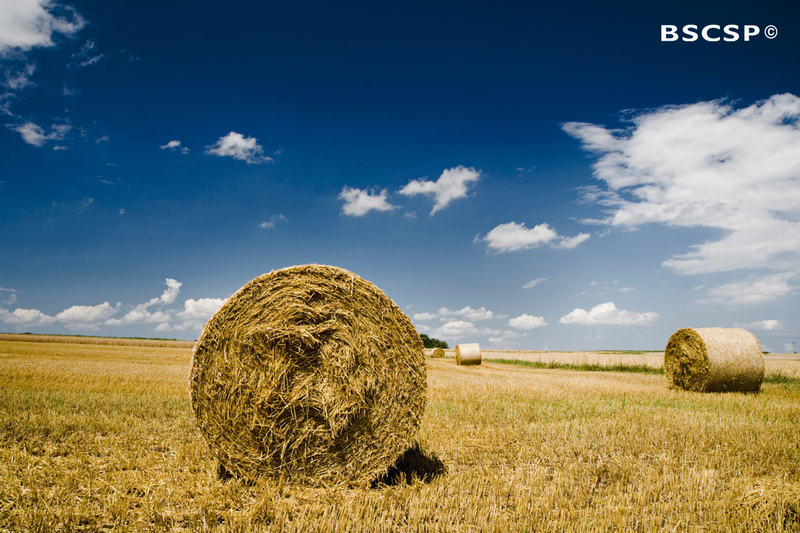 The study area, located in north central Montana, consisted of ten enrolled farms and was the most representative cropping region in the state. During the field validation tests, sites utilizing a range of management practices were measured and monitored for soil carbon content. Specific protocols for measuring, mitigating, and verifying soil carbon change were established for future best practice scenarios. To collect and characterize data on soil content, researchers employed two complementary imaging techniques. The first approach used a visible and near-infrared diffuse reflectance spectroscopy (VisNIR-DRS), and the second method involved a laser induced breakdown spectroscopy (LIBS). Both of these approaches allow scientists to collect data in situ, or “on-the-go,” thus greatly reducing the costs to transport, process, and analyze data. Results from in situ methods were compared with conventional laboratory findings to test for predictive accuracy. The researchers concluded that lab-based results were consistently more accurate than data collected in situ. 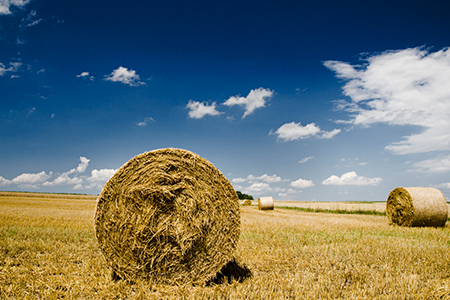 There are several potential explanations for poor on-the-go predictive accuracy such as soil composition, field moisture, and differences in sampling and testing techniques. However, researchers argue that these preliminary results should not discount the promising potential for VisNIR and LIBS to rapidly and cost-effectively characterize soil properties. Watts, J., Lawrence, R., Miller, P., and Montagne, C. 2011. An analysis of cropland carbon sequestration estimates for North Central Montana. Climatic Change 108: 301-331. 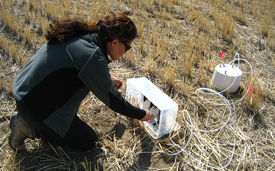 "Montana Cropland Carbon Sequestration Field Sampling, Measurement, Monitoring, and Verification: Final Report” Big Sky Carbon Sequestration Partnership. November 2011. Submitted to Department of Energy (DOE) and National Energy Technology Laboratory (NETL). “Rangeland Sequestration Potential Assessment: Final Report”. Big Sky Carbon Sequestration Partnership. September 2011. Submitted to Department of Energy (DOE) and National Energy Technology Laboratory (NETL).